We are standing at the counter of the nurse's station in the ER when I tell Dr. Hanson that his patient in 18 is asking for pain medication. "There's nothing wrong with her," he retorts. "She's just full of BS." "If there's nothing wrong with her, and she's just full of BS, why are doing $8,000 worth of tests?" I ask bluntly. "Maybe we should give her some pain medication just in case." When Dr. Hanson slides back into the doc box to order some morphine, another nurse who had overheard the exchange nudges my arm to get my attention. She half whispers, "I like the way that went down." I hadn't given the exchange a second thought while it was happening, but, based on her comment, it occurs to me that I'd just done something she would have found hard to do. It may be easier for me to confront doctors because I'm older than a lot of them and worked here longer than most of them. Also, in the ER, we are used to working alongside different classes of providers, interacting on a casual level that might feel uncomfortable to nurses in other departments. Admittedly, I am writing from an ER perspective. But, even if you are relatively young, new, or intimidated for any other reason, there are three times nurses must be assertive enough to speak up. First, we need to confront providers when their orders don't make sense or demonstrate a clear mismatch to a patient's individual situation. In the era of point and click, entire panels of orders are quickly entered. Sometimes the entire set is intended for another patient. Or maybe the doctor fails to remove a fluid bolus from a panel ordered on a potentially septic patient who is also showing signs of acute CHF. Maybe a provider orders an x-ray on the wrong hip, or omits a Digoxin level on a patient with symptoms of toxicity, or orders antibiotics without ordering the usual blood cultures. These simple, potential, or even obvious oversights are easy to confront because we're "just checking" without questioning judgment. It's an easy question: "Hey, I just wanted to double check. Do you want any blood cultures before we start the Rocephin?" The second level is a slightly harder conversation. But when there appears to be clear judgment error, we still need to ask. For example, an 87-year-old with multiple system failures comes in via EMS. He is crashing, and we intubate him on arrival. The workup shows he needs immediate surgery to remove a large intra-abdominal abscess. But, when the family shows up, we learn that the patient has an Advance Directive and doesn't want any heroic measures. He probably would have refused intubation if he had been alert enough to express himself. The surgeon evaluates the patient and states that he will not survive the surgery. The family decides to have him extubated and go to comfort measures only. The daughter specifically asks, "But you won't do anything to make him die quicker, will you?" Dr. Stone assures her that we will not. Dr. Stone and the surgeon spend several more minutes discussing the case with the family while the respiratory therapist removes the ET tube, and the patient starts breathing on his own again. As Dr. Stone walks away, he says, "We can restart Fentanyl drip." The Fentanyl drip was held along with the Diprivan due to low blood pressure prior to the decision to extubate the patient. It was running at 300 mics/hour. I ask Dr. Stone, "Are you sure you want to restart it? You just told the daughter we wouldn't do anything proactive to cause his death." He replies that it will be okay and turns to walk away. I just questioned his judgment, and he confirmed his intention. Now we hit level three. It gets more challenging when we have already questioned a doctor's judgment once, but he persists in following a course we cannot condone. Continuing the case above, I follow the doctor toward the doc box. I'm not belligerent, but I can't let this go. "Dr. Stone, at the very least I'm going to need you to enter a new order, and I'll have to chart we had this conversation just in case we all end up in court together trying to explain why we ran Fentanyl at a rate that stopped this guy from breathing right after you assured the daughter we wouldn't do anything to hasten his death." He stops on a dime, whirls back toward me, slaps himself on the forehead, and says, "I forgot we just extubated him. Good catch." They can be very good. They are not gods. Sometimes the third level is essential. If we get to level three, a second or third opinion may help bolster courage before going back for the decisive confrontation. For example, there is an order for a bolus of Integrilin which is well over the standard protocol dose. I question the doctor, and he confirms the dose. But he is looking at an x-ray, and I have a feeling I don't have his full attention. I double check the order in the computer, pull the medication from the Pyxis, and turn to another seasoned RN in the med room. I hold up the bottles and show her that the order for the bolus alone grossly exceeds the volume in the large bottle for the total infusion. We look at each other and say in unison, "No way." Emboldened by her confirmation, I go back to the doctor with both bottles in my hands. I get his complete attention and show him the bottles, explaining the usual dose compared to his current order. He checks again and finds that he is off by two decimal places, accidentally ordering 100 times his intended dose. Oops. A friend gave me a t-shirt years ago. It is threadbare now, and the slogan is hardly readable. 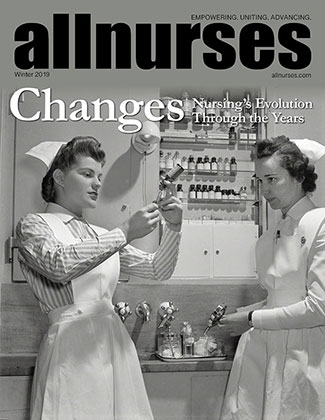 But it has generated some interesting comments and stories through the years: "Be kind to nurses. We keep doctors from accidentally killing you." It's true. We are it. We are the patient's final defense in the delivery of most healthcare, and we must have the courage to confront other providers on whatever level is necessary to make sure we all get it right. This was a fictitious illustration but you told the doctor that his patient (who I assumed was also your patient) is asking for pain medicine; he said there's nothing wrong with her etc., and you retorted that if there's nothing wrong with her why are we doing $8000 worth of tests and maybe we should give her some pain medicine just in case. To me that seems unnecessarily confrontational; especially as you didn't state that you told the doctor what your assessment of the patient's pain was. It sounds as though you either hadn't assessed the patient when they asked for pain medication or you had done this but hadn't communicated this to the doctor, and that both you and the doctor needed to determine/discuss the patient's current pain assessment to understand why the patient wants pain medication. We need to clarify and challenge orders when necessary, but we need to be aware of being unnecessarily confrontational, and we need to be able to provide sufficient assessment information to back up our requests of the doctor to act in regard to the patient (you were asking the doctor to act when you told him/her that his/her patient is asking for pain medication, weren't you?). To me that seems unnecessarily confrontational; especially as you didn't state that you told the doctor what your assessment of the patient's pain was. It sounds as though you either hadn't assessed the patient when they asked for pain medication or you had done this but hadn't communicated this to the doctor, and that both you and the doctor needed to determine/discuss the patient's current pain assessment to understand why the patient wants pain medication. There are a lot of things that are not stated in any simplified illustration. This is a short, simple article in support of the point that we are the last defense. Your assumption that I did not assess my patient's pain is odd since the story opens with me relaying her request for pain medication. Reminding him of the $8,000 worth of tests he had just ordered simply highlighted the duplicity of his statement that "she's just full of BS." You are correct that there is no point in being unnecessarily confrontational. Check the wording again though. He "retorts." I "ask." This was actually a real life encounter with a doctor I know well. It was included for shock value and to make the point that it is easier for some nurses to question doctors before adding the disclaimer that not all interaction can, or should, occur on this level of familiarity. Persuasion always works best within an atmosphere of goodwill. Confronting Doctors with either real or potential mistakes/problems is very important and necessary. It is hard for some new nurses as it can be intimidating. In all interactions with Doctors (or anyone) we should always try to work with their personality if possible (some serious, some joking etc). Sometime we just have to be confrontational and persistent, it happens, but it gets easier as nurses gain experience. Hi, sometimes I catch myself, especially recently to doubt myself. I used to advocate, I used to get into arguments, I used to refuse to carry out dumb or harmful orders. Almost always I was proven correct by time... and by other nurses following the wrong order... causing patient to do what I was afraid could happen. Yet most of them did not felt bad about it in slightest. The doctors did not feel bad about it either. Many times patient for whom I advocated, would (of course) graciously thank the doc. (not that it matters, or that I was expecting anything). Many times my advocating changed nothing, as things took the desired course, pt was ok not knowing a thing about backstage battle, or happened what doc wanted... and in best scenarios, doctor did not try to throw blame on the nurse, so no one hold the responsibility. Many times I created bad relationships with some highly arrogant and equally not so good doctors. Patient leave, doctor stay. As I stay as well. Working with that doctor. Who treats me with hate, humiliates me and is generally nasty to me. And he does not care I actually pretty much saved the patient. The doctors ego got booboo. Sometimes I question... what for?? Why did I do that? I watch my coworker. She is right hand with the most awful doctors. She never tell them no. They bring her coffee from Doctors launch. I worked with a few docs who I had worked with previously at a different facility and felt comfortable with. This is the kind of thing I could see myself saying. Actually, one time when a Doc was teasing me about my Red Sox losing and said "how about those red sox" I came back with "How about that rogaine" I almost passed out when I realized what I'd said - and to whom. Luckily, we were buddies from that point forward. I think this kind of tone can be appropriate depending on the rapport the nurse has with the doc. I'm very laid back and real, I'm horrible at being super professional and prefer to just be myself and keep it real whenever I can. I even asked a grumpy surgeon if he needed a hug once. Hey - he really seemed like he needed one. Many times I created bad relationships with some highly arrogant and equally not so good doctors. Patient leave, doctor stay. As I stay as well. Working with that doctor. Who treats me with hate, humiliates me and is generally nasty to me. And he does not care I actually pretty much saved the patient. I think good doctors appreciate us when we save them from glaring mistakes, even when they don't show it. 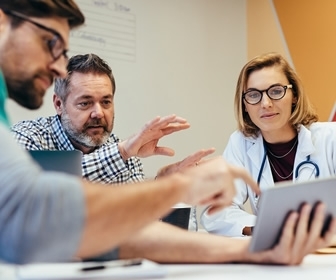 Short term, I have experienced some ill will when I misjudged the best way to confront a doctor or even when I made a careful presentation to a doc with a fragile ego, but over time they usually respect us for getting it right. But, yes, we do risk offending egos by questioning mistakes. The more fragile egos have to be treated with kid gloves. Normal, healthy-ego docs respect us for having their backs. You were right to save the patient from inappropriate care. Our first moral obligation is to ensure their safety. CeciBean has 30 years experience and works as a RN, ret.. I think I might have said something like, "We're doing an awful lot of tests on her to find out what's going on, shouldn't we maybe give her some pain meds just in case there really is something? She seems like she's in a lot of distress." There are ways to get what you want without being overly confrontational. Of course sometimes it depends on the doctor! I totally agree. I do not hesitate to bring any order to a doctor's attention that I feel is questionable or detrimental to the patients health. I once had a doc that ordered an inappropriate (massive) Lasix dose. I repeated the order and pointed it out to him. He ordered me to give it anyway. I put the bottle down on the counter and said. "If you feel it is correct then you give it yourself". He just glared at me and walked away. He wouldn't give it. Yes, we are the last defense for the patient and must be their advocates. JMurse89 has 5 years experience and works as a RN, BSN, TCRN, CEN. We had a septic CHF pt. MD ordered 1L NS bolus AND 40mg Lasix. The guy wasn't truly septic yet, just SIRS at this point. His BNP was 2500!! I asked the doctor and he said yes. I asked some other nurses and even a different ED doc who all agreed it was an odd order. I just held the bolus and gave the Lasix, then handed him off to another nurse. He was fine. Though I checked back in his chart a few days later and they never ordered a repeat BNP during his admission. Guess we'll never know.